Turmeric, the main spice in curry, is arguably the most powerful herb on the planet at fighting and potentially reversing disease. 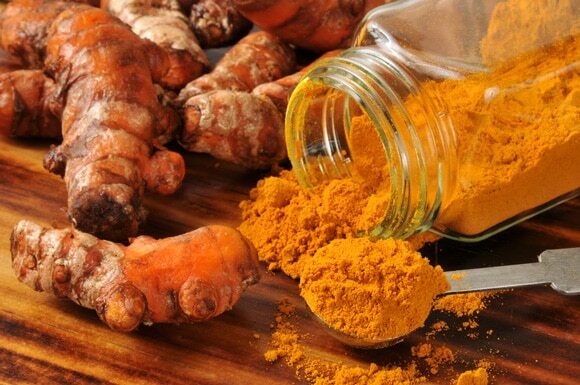 It has so many healing properties that currently there have been 6,235 peer-reviewed articles published proving the benefits of turmeric and one of its renowned healing compounds curcumin. This puts turmeric on top of the list as one of the most frequently mentioned medicinal herbs in all of science and the next most popular studied herbs include garlic, cinnamon, ginseng, ginger and milk thistle. However, what most people don’t know, is that Turmeric is not naturally absorbed by the human body. In order to get the full benefits and healing properties to help with inflammation, for example, you would need to combine the Turmeric with some sort of fat (such as coconut oil, olive oil, or ghee) and a capsaicin, the main component found in chili peppers. But not everyone can handle all that heat, so substituting the capsaicin with a pinch of black pepper will easily do the trick! By adding black pepper in dishes seasoned with turmeric, you can increase the bioavailability of curcumin for up to 1000 times. This is thanks to the piperine, the alkaloid responsible for the pungency of black pepper. This means that if you combine turmeric and black pepper, you can increase the absorption of turmeric for up to 2000%. 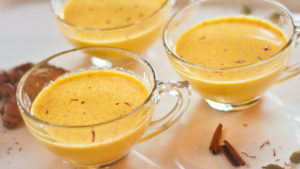 Check out this fantastic recipe from Chef Eleni called Golden Milk, in which Tumeric is the star of the show! It’s a delicious and incredibly healthy drink, especially for the late night hours. And did we mention that the benefits it provides are more than amazing? Please enjoy! Cook all the ingredients together in a saucepan on medium heat. Stir well until the mixture thickens. You will not need much to prepare this paste, so stay close to the stove. After it is done, let the paste cool for a while. You can keep it in a small jar in the fridge for up to 2 weeks. After that, the paste will begin to taste metallic – no one wants that! Combine all the ingredients together, except the honey, in a small saucepan. Cook on medium head and stir constantly. Take the milk off the heat and add honey to taste. Finally, enjoy! 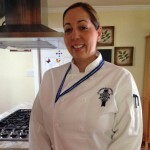 ← Welcome to Greek Olive Catering!